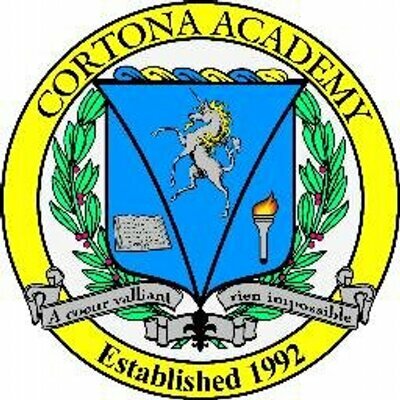 Please Call Cortona Academy to attend an Information Session at 703-464-0034. Group Information Sessions (Open House) are held weekly at 10:30 am. If you would prefer a private appointment without your child present, please call. We will do everything to accommodate to your schedule and situation. Please complete the Application. You may submit your completed Application either on-site when you attend Cortona Academy’s Information Session, via Fax at 1-703-880-7259 OR via email at [email protected]. Cortona Academy, unlike other schools, awards both need-based and merit-based full or partial tuition scholarships. 80% of all Cortona Academy students receive financial aid upon completion of the financial aid forms and submission. Please call Cortona Academy for a Placement Assessment. This is NOT a graded exam nor is it meant to determine their acceptance into our school. This is simply to determine a new student’s place in our Cortona courses and to design their own unique curriculum. Every student at Cortona Academy has choices for courses, teachers, and start times. This Placement Assessment helps determine the prospective student’s options. Most recent academic records. We never “judge” students on these, they simply serve as reference to course completion. Once the Information Session and Placement Assessment are completed, Cortona Academy professors, as well as the Director, will meet with you to design an ideal educational plan for your student. Parents will go over the plan, make any necessary adjustments, then discuss educational as well as cost options.